If you have trouble falling asleep at night, consider whether or not you’re watching TV in the hour or two before you actually try to sleep. We can’t say for sure that the TV is the cause, but there’s a good chance that it is. Of all the things you should know about electronic screens Fact or Fiction? 6 Myths About Screens & Monitors (With Verdicts) Fact or Fiction? 6 Myths About Screens & Monitors (With Verdicts) How many of these screen-related myths have you heard? How many do you believe? You might be surprised at which ones are true and which ones aren't. Read More , the most important is that artificial light interferes with your circadian rhythm, and this interference reduces sleepiness, sleep duration, and sleep quality. Unfortunately, TV light is artificial light. Here’s the good news: there’s a product called The Drift TV [No Longer Available] that hooks up to your TV and adjusts the screen light so that this interference is minimized. It only filters out the light at night, but if you ever want full color fidelity even at night time, you can always disable it temporarily. If you still need more help in falling asleep, check out these sleep-inducing apps and gadgets 10 Ways to Prevent Late Night TV from Ruining Your Sleep 10 Ways to Prevent Late Night TV from Ruining Your Sleep Do you regularly fall asleep with the TV on? If you’re having trouble sleeping, finding an alternative way to drift off will improve your sleep habit and your overall health Read More . Will you be getting a Drift TV? Why or why not? Share with us in the comments! 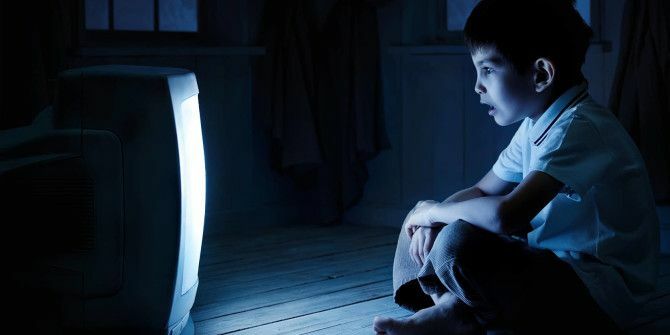 Explore more about: Health, Television. I will not be purchasing this device. My wife and I watch something on TV in bed each night before going to sleep, and I sleep like a baby. Count me lucky, I suppose.